When it comes to converting leads and making lasting impressions, your website is where the magic happens. Calls-to-action ( or CTAs) are at the center of your website’s lead generation power. Because your website is often your first line of communication with a lead, make sure that your website contains numerous targeted CTAs, speaking to leads in every stage of the sales funnel. Here are our six must-have CTAs for collecting leads on your website. And for more lead generation tips and tricks, download our brand new Definitive Guide to Lead Generation. If a lead wants to contact your company directly, make it as easy as possible. There is nothing more frustrating than failing to find a company’s contact information or contact form. 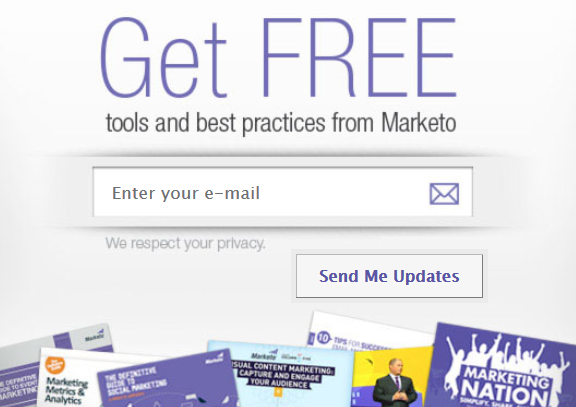 At Marketo, we display our phone number in our header, embed a “Contact Sales” form in our product pages, and display a “Contact Us” button (which links to a landing page) on every page of our site. Our “Contact Sales” embedded form ask leads for their first names, last names, work emails, phone numbers, companies, and the number of employees at their companies. We also leave a field for comments and questions. Another common way to generate leads on your website is through your content asset downloads. If your content marketing strategy is aligned with your lead generation efforts, you should already have assets that will interest your website visitors. And that means you can ask for lead information in exchange! There are many theories about putting a form in front of content assets (known as “gating”). You can gate all of your assets, only gate your Middle-of-Funnel or premium assets, or you can ask a lead to fill out one form to access your entire library. There is no right or wrong way to do this, but at Marketo, we only gate our Middle-of-Funnel or premium assets (like third-party research reports, or our Definitive Guides). Consider using a chat service to collect leads on your site. Like a “Contact Us” CTA, chats are great for leads who have a question, but don’t want to pick up the phone. Chat services (like LivePerson) enable a lead to enter his or her contact information and chat with an educated representative. We use a chat feature on our product and pricing pages. On both pages the chat only pops up after a viewer has spent a certain number of minutes on the page. The initial chat pop-up asks if the viewer has any questions. 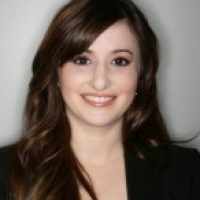 Once a visitor clicks on the CTA, indicating they want to chat, they are brought to a lead capture form asking for his or her first name, last name, and email address. The lead is then routed to a representative who can answer any questions. Depending on your product or service offering, you might consider offering your website visitors a value-add in the form of a benchmark, grader, or survey tool. 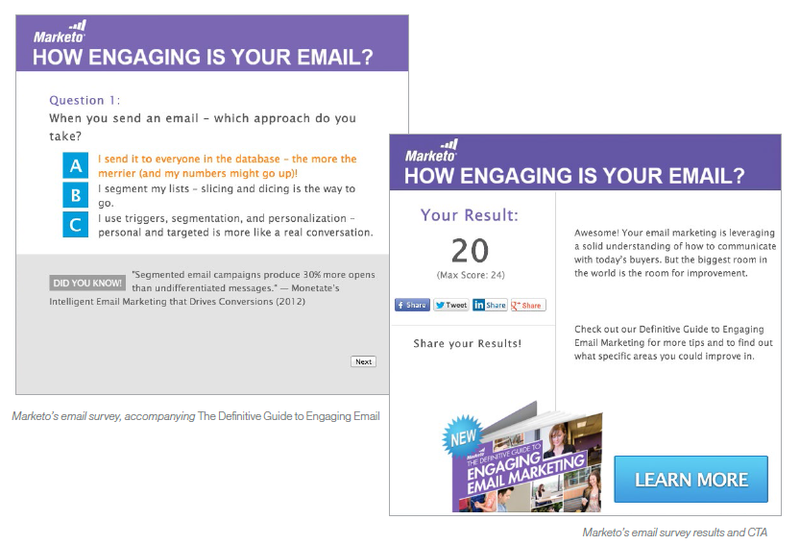 For our Definitive Guide to Engaging Email Marketing, we teamed up with SnapApp to create a widget, which asked our visitors a series of questions about email marketing engagement. We scored each survey taker, and included a CTA to “Learn More”. The CTA routed each respondent to a landing page where they could input their lead information. If you are offering a value-add that helps visitors gauge their own effectiveness, you are more apt to collect quality lead information. Another way to generate leads on your website is to offer a subscription to your blog, email program, or resource center. In exchange for a lead’s email address, you will send your blog digest, newest assets, or other valuable offers. We’ve placed a subscription request form in our resources section, where it gets prime real estate at the top of the page. The form offers free tools and best practices for visitors in exchange for their email addresses. We also let our visitors know that we respect their privacy, and make it clear that if they fill out the form, we will send them updates. A contest is another way to generate lead information. Host a contest on your homepage to entice visitors to share their information. Everyone loves a chance to win something! Contests can also promote social sharing—just make sure you include social sharing buttons. One note: before running a contest, consult your attorney to make sure it follows legal guidelines. And that’s just the beginning! To learn more about optimizing your website for lead generation, download our new Definitive Guide to Lead Generation today.